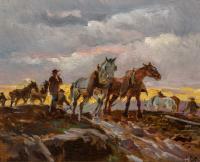 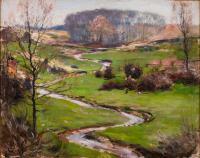 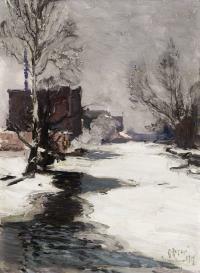 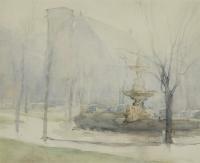 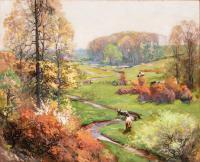 The papers and paintings of West Michigan painter, Mathias J. Alten (1871 - 1938) represent one of the most important collections in the holdings of both the University Library's Special Collections and the University Art Gallery. 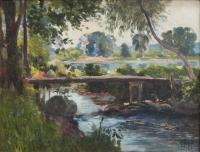 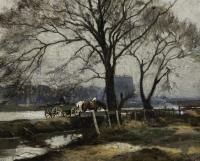 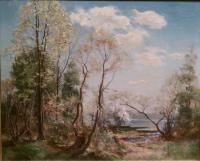 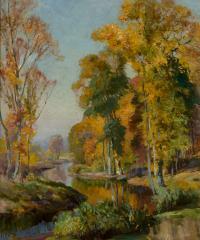 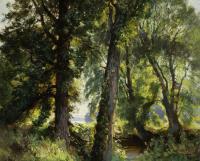 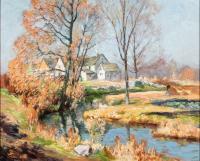 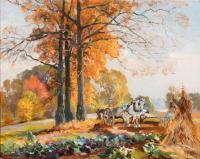 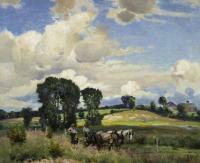 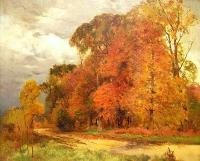 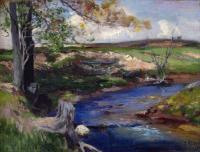 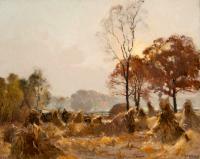 Alten, a German native who came to Grand Rapids as a youth, is a celebrated American regionalist often referred to as the Dean of Michigan Painters. 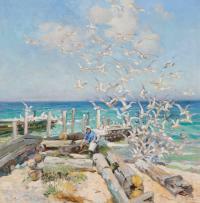 The photographs and papers document his family life and career and support the collection of Alten paintings owned by the University. 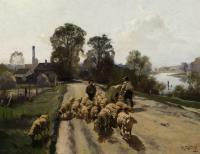 Four cows walking on a path away from the viewer. 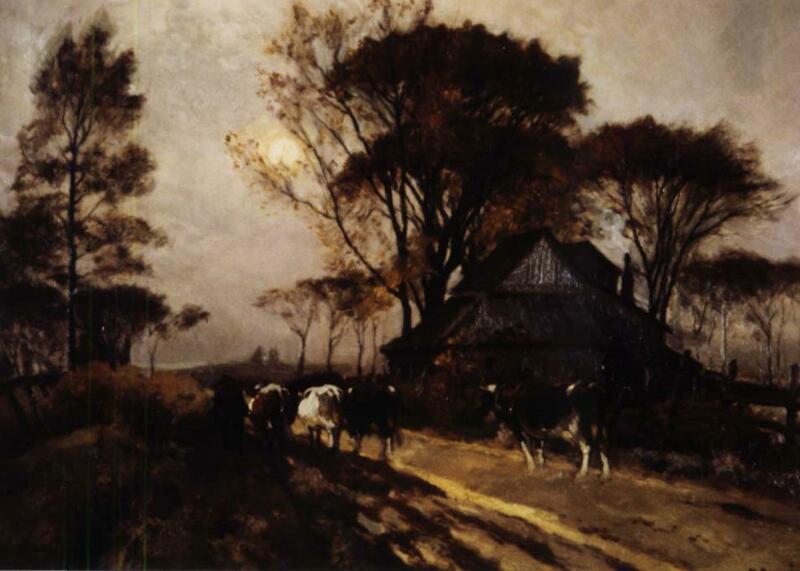 A building stands on the right side with dark trees surrounding and a pale sky.